Brand: 4medic. Code UNSPSC: 42241804. Code UMDNS: 18030. 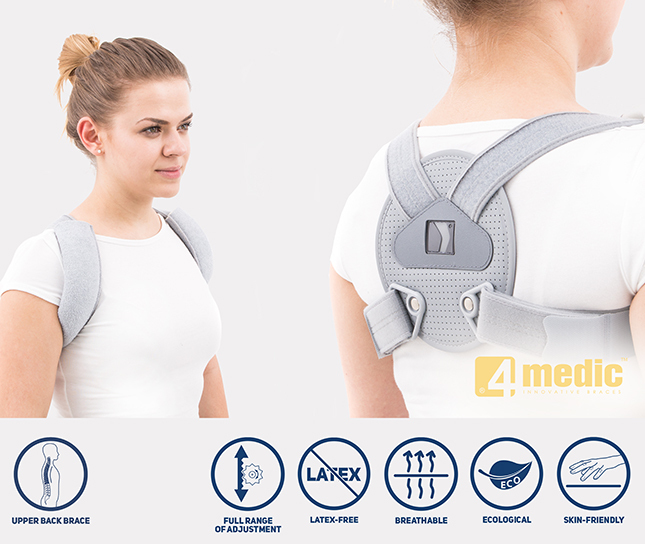 Clavicle brace 8-shaped is made of inextensible tapes and round back panel. The tapes are provided with Velcro fasteners on whole their length; the adjustment is determined by cutting unnecessary part of tape which is marked with double seam. 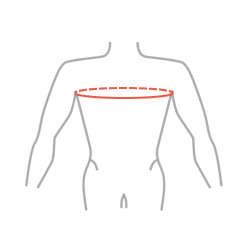 This system allows easy adjustment of One Universal size on each anatomy and size of patient. The construction of back panel with apertures for fasteners avoids the shoulder tapes folding and adapt perfectly to the body shape. Back panel is reinforced with the plate made of polyethylene low density PE-LD. This plate is provided with two revolving buckles which make possible the perfect fitting on the patient shoulder. 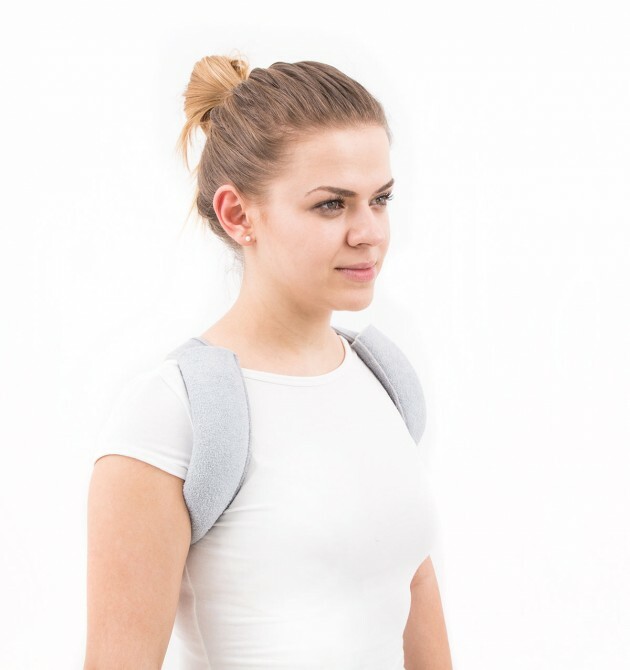 This construction improves the stabilization level and immobilization of clavicle. Internal part of orthosis is lined with soft cotton terrycloth laminated with soft foam in order to provide optimum comfort to the patient. Back panel is reinforced with the plate made of polyethylene low density PE-LD. 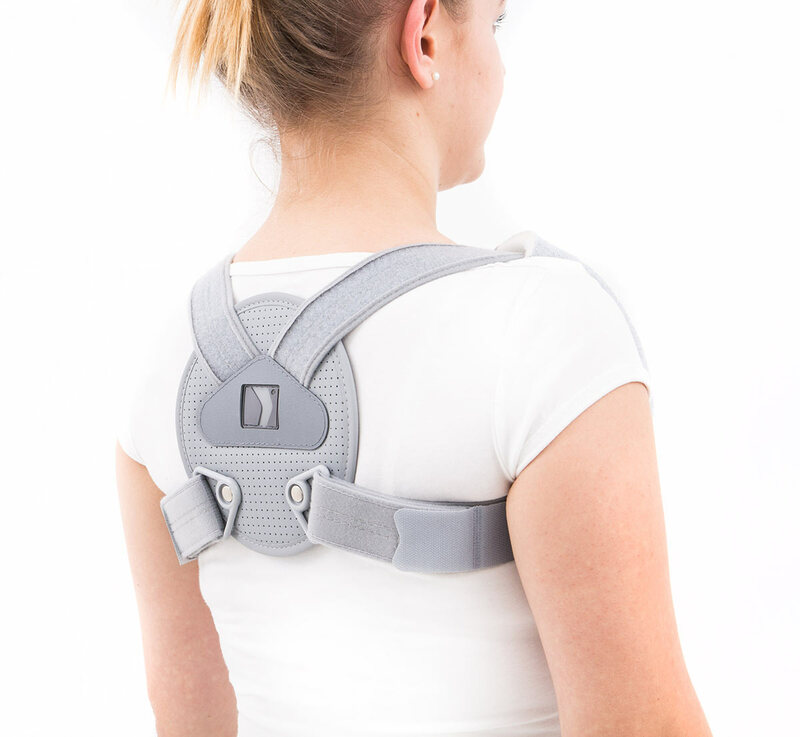 This plate is provided with two revolving buckles which make possible the perfect fitting on the patient shoulder. 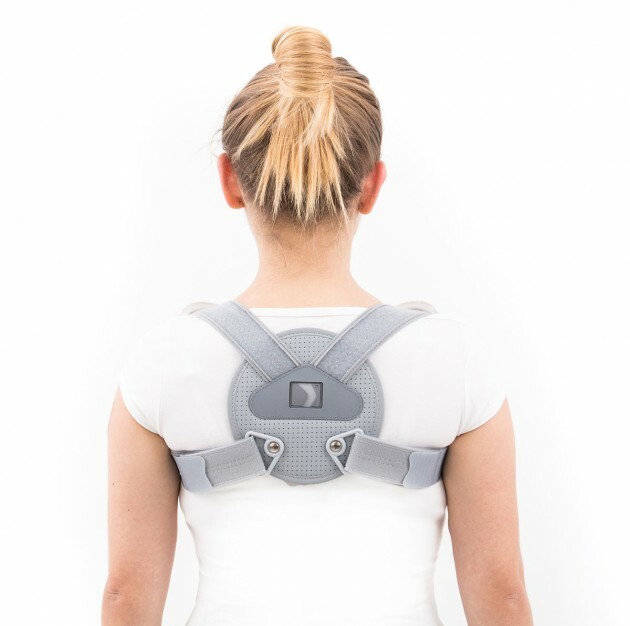 The structure of eight shaped brace improves the stabilization level and immobilization of clavicle. Internal part of orthosis is lined with soft cotton terrycloth laminated with soft foam in order to provide optimum comfort to the patient. Torso support AM-PES-04 is made of innovative material AirSanmed.